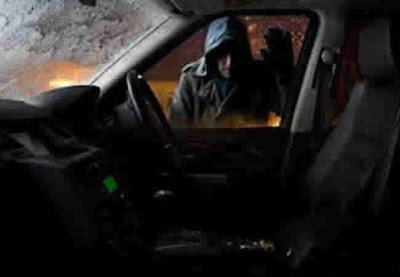 Thieves now steal vehicles without needing the keys, Police have warned. In a CCTV showing how robbers made away with a car without using the key, two men in white suits and masks were seen pulling up outside a victim’s house in the Elmdon area of Solihull, United Kingdom, carrying relay boxes. They used one box to receive a signal from a car key inside the property and then transferred the signal to a second box next to the targeted Mercedes on a driveway. The car’s system was tricked into thinking the key was present and the thieves were able to unlock the vehicle. The crime took less than a minute and the Mercedes which was stolen around 9pm on 24 September has not yet been recovered. The devices can receive signals through walls, doors and windows, but not metal. “To protect against this type of theft, owners can use an additional tested and Thatcham-approved steering lock to cover the entire steering wheel,” said Mark Silvester from the West Midlands Police crime reduction team. “We also recommend Thatcham-approved tracking solutions fitted to the vehicle,” he added. Sergeant Tim Evans of Solihull Police said: “It’s important the public are reassured that we are taking proactive steps to tackle this type of crime in Solihull.